Live your best dash and on trend in these solid 14k yellow gold bar or dash dangle earrings. So simple, so elegant, they make a great minimalist statement of pure gold. 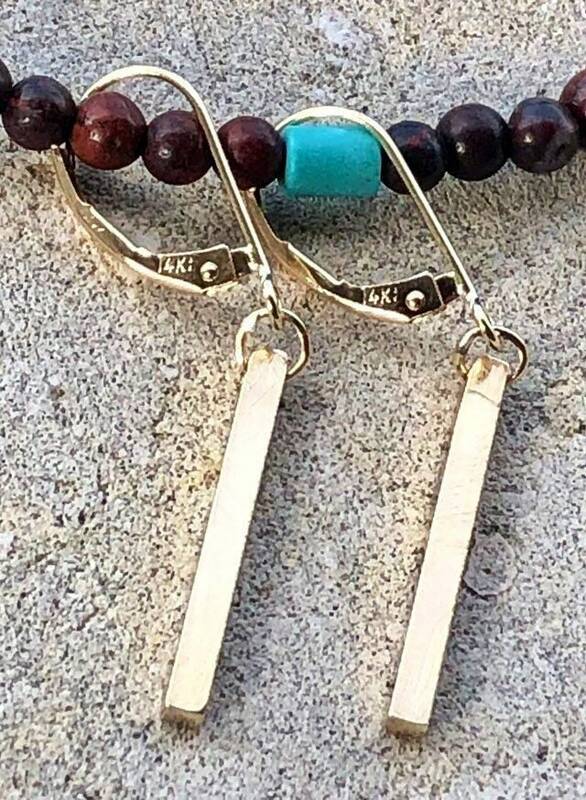 These bar or dash dangle earrings are the perfect length and width - not too skinny, not too long - with all the shimmer. The bar itself is approximately .75 inches long (20mm) and is made of very substantial 12 gauge square 14k yellow gold that is 2.0mm x 2.0mm. Definitely substantial and won’t bend like the thinner ones! I attached these to sturdy, reliable solid 14k yellow gold lever backs from Rio Grande for extra security.